TextShot Pro lets you easily send SMS* and iMessages to groups of friends or colleagues. Messages are sent directly from the app with a single tap of the TextShot logo on the title page. Save typing by choosing from your own preset messages (such as “I’m running late. I’ll be there as soon as I can”, or “I’ll be there in ten minutes”) You can edit the message before it is sent. From the creators of the popular "MailShot" group email app, TextGroup features all the same methods to quickly create groups from your contacts. • Create your own message presets, for rapid re-use. • Add multiple contacts quickly using a checklist, or add entire address book groups. • NEW Import from a list of names and numbers. • Add email addresses (for iMessage) as well as mobile numbers. 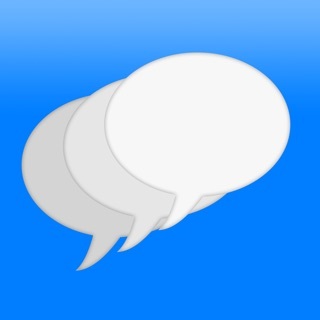 A free version, "TextShot Lite", which limits you to 2 groups of up to 4 contacts, is also available on the App Store. It can be upgraded with an in-app purchase. To send to groups larger than 10, please disable the "Group Messaging" switch in the Messages page of the Settings app, if it is present. If it is not, disable the switch marked "MMS Messaging". • Fix to "Paste from String"
When you send a group text if one number is wrong it rejects the message. Is there a way to flag the number that is being rejected. This is my third text program and finally I found one that works! Lets me send info to a group easily and quickly.